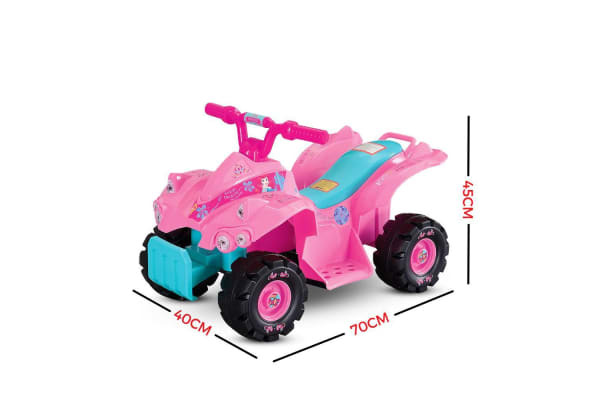 This pink Disney Princess Mini Quad Ride On is the perfect ride for your pretty, little girl. With its easy push button driving system, kids will have awesome time riding in style without compromising their safety. With its eye-candy appearance and eye-catching colour, this will perfectly make any play time more fun and exciting. The Disney Princess Mini Quad Ride On – Pink is perfect as a gift for birthdays, special events or Christmas.